All the cords are wrangled up and hidden in one sleeve from sight, no need to worry the messy tangled cables depressed you or trip your kid, it makes your living and working space look more organized. Keep a few in the car ,Keep one on your keychain so you'll always have a Twistie when you need it. 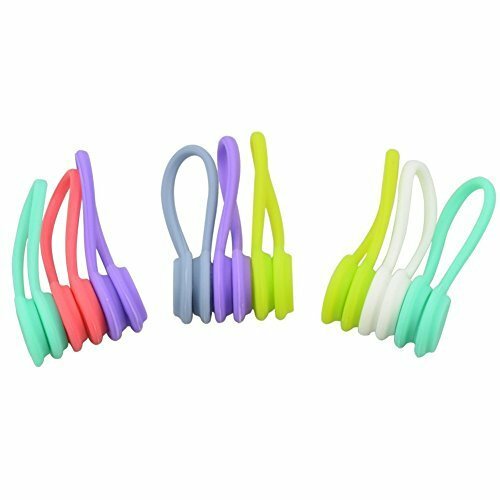 USEFUL: It not only can work as Cord Wrap Organizer,this multifunctional creation is highly adaptable and can be used in many different ways. If you have any questions about this product by Gogogu, contact us by completing and submitting the form below. If you are looking for a specif part number, please include it with your message.